White Hart Lane midfielder looks set for exit. 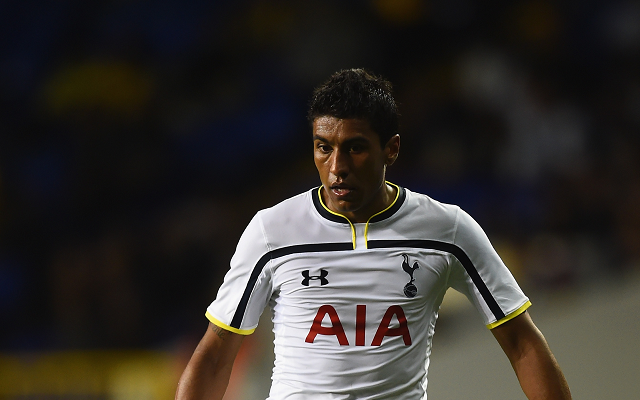 Chelsea have been linked with a possible move to sign Tottenham midfielder Paulinho according to the Daily Express. The Brazilian had been a Blues target over the summer and now looks likely to leave White Hart Lane having become something of a bit-part player under Mauricio Pochettino this term. The 26 year old has managed just 29 minutes of Premier League action and this at a side who has struggled for form and the former Corinthians man is now considering his options, with a move back to Brazil seemingly a possibility. “Players always wants to play. I am participating in a few games at Tottenham. Maybe it’s the opportunity to go back. “There is interest of Brazilian clubs, but nothing concrete yet. I’m glad to have a recognition, I feel proud. “Tottenham invested very big money to transfer me there, but I can work or not, like any other player. “I do not have to think about transferring, but any player is subject to transfer when the window opens.” stated Paulinho. One would have to wonder where Paulinho would fit into Jose Mourinho’s side, not least as Nemanja Matic’s good form in the centre of the park has already seen Ramires consigned to the bench for much of the season. Former Tottenham boss Andre Villas-Boas brought in Paulinho in a £17m deal but he may not be a player Pochettino values and as such a good offer may well be accepted.